Five-inch Full HD smartphone screens might be the industry standard for devices in 2013, according to sources speaking with DigiTimes. There've been a few previews of these beefy smartphones and screens from HTC and Sharp, and it looks like other device producers are taking cues from the two companies. DigiTimes' insiders said mobile phone manufacturers Samsung Electronics, Sony Mobile Communications, LG Electronics, Huawei Device and ZTE are expected to roll out 5-inch Full HD displays in the first half of 2013. Samsung and LG will produce the Full HD panels used by the companies in-house, while Sony will probably get its panels from Japan Display (JDI), a company it holds a stake in, according to the sources. Though rumors coming from the DigiTimes aren't the most reliable information (like when it was reported then debunked that Samsung Displays would stop supplying components to Apple), this piece of news falls on the safe bet spectrum. Smartphones are always getting bigger and thinner, and we have seen plenty of news items that support the idea that 5 inches will become the new standard. Sharp already started producing 5-inch 1080p LCD's just a few months ago. The company said the new screens will have a 1920 x 1080 resolution, one of the highest pixel density ratios on the market. JDI has also started full-scaled manufacturing of similar screens. 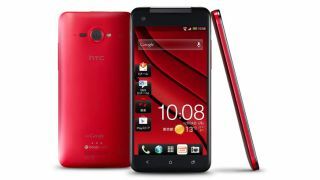 Those new JDI screens are already set to go into the upcoming Japaneses behemoth: the HTC J Butterfly. With all these news items, it's not hard to believe that the 5-inch smartphone will be a common sight with the arrival of 2013. The real question is: Will it stop there? Just today, a rumor has been going around that says Samsung's Galaxy Note 3 will have a massive 6.3-inch display. So, 5-inch screens may only be the beginning. Looks like we'll have to start buying pants with bigger pockets next year.